In the run up to the Second World War, Britain took on about ten thousands of Jewish children in a rescue effort now known as Kindertransport. These children came from areas already or soon-to-be occupied by Nazi Germany, and they were brought up in Great Britain by foster parents. Jacques Austerlitz, who arrived in England at an age so young that he couldn’t have remembered much about his former life, and whose Welsh foster parents concealed his true identity for long enough to erase any last memory of his prior existence, put off attempting to find his root until he had become an old man. 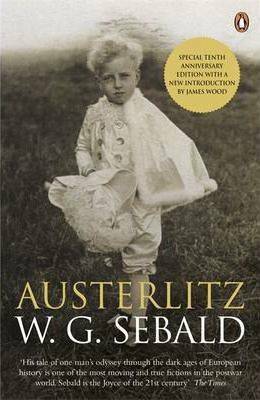 An architectural historian by trade, he got acquainted with the narrator in Antwerp when both were still a young man, and reacquainted decades later after Austerlitz had finally learned of his origin and longed for an audience for his epic and tragic story.